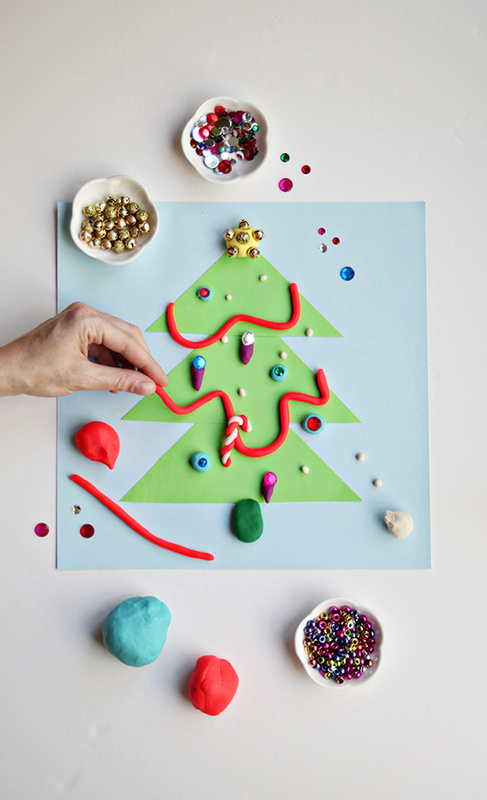 Remember last week when I shared a Play Doh craft idea? I have a couple more I’d like to share with you! This project couldn’t be easier. Grab some green paper, and cut out large triangles. We used three triangles for our Christmas tree, but you could certainly use more, or even one large triangle to keep things simpler. Lay out your triangles on another piece of paper, and use a glue stick or tape to stick them down so they won’t move around. 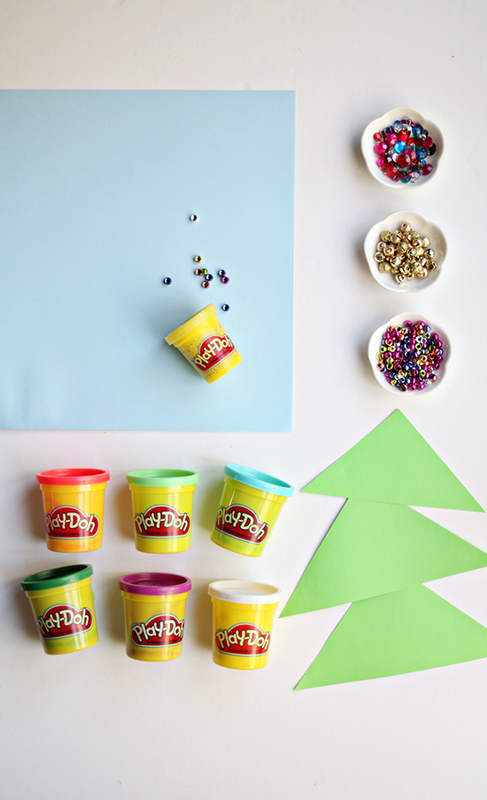 Then pull out beads, glitter, jingle bells, jewels, feathery bits, paper scraps and lots and lots of Play Doh. There you go, now it’s time to create a Christmas masterpiece! This activity is great for all ages, and a perfect activity to keep things going on one of those Christmas vacation days we all have coming! Thanks! 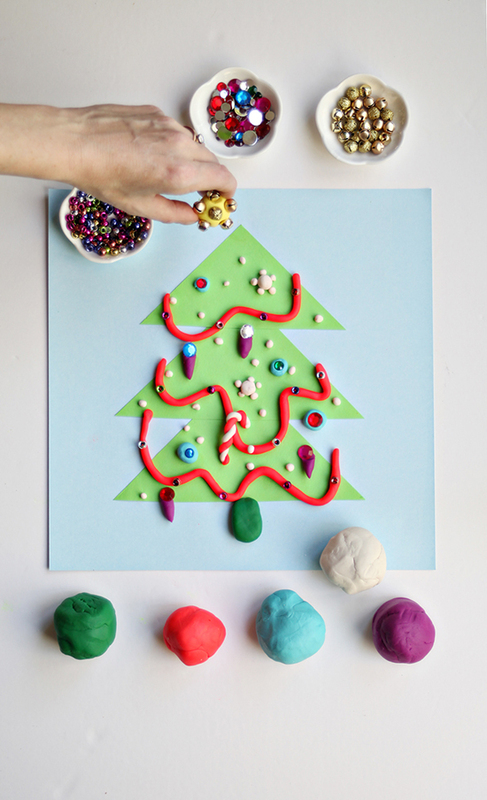 Any excuse to play with Play Doh, amiright?